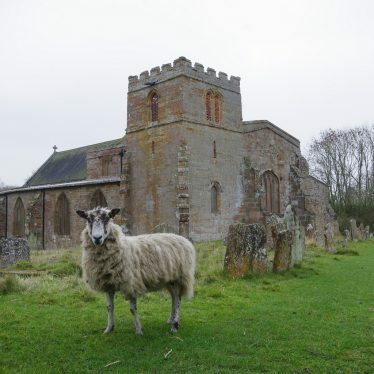 Wolfhampcote itself is a deserted medieval village. 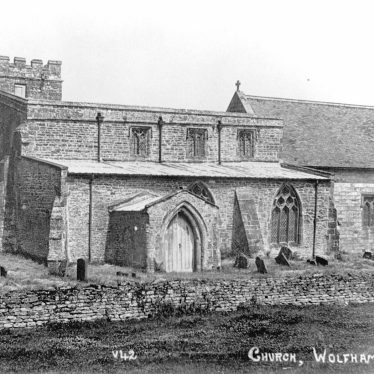 Although legends have suggested the abandonment of the village was due to the Black Death, or destruction by Cromwell, no evidence for either tale exists. A more likely explanation is that the villagers simply moved over time to wealthier places, with land that was easier to cultivate. 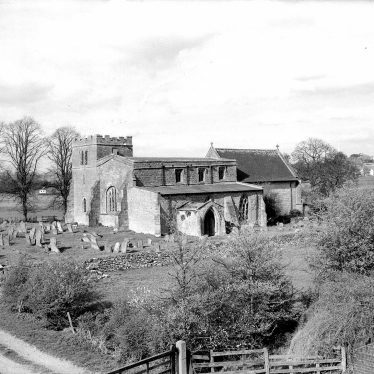 Despite the village being abandoned however, the church survives. 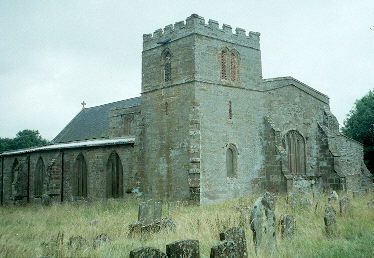 The Church of St Peter which was built during the Medieval period. 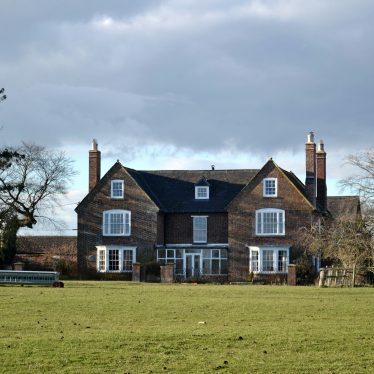 It is situated 100m south east of Wolfhampcote Hall. 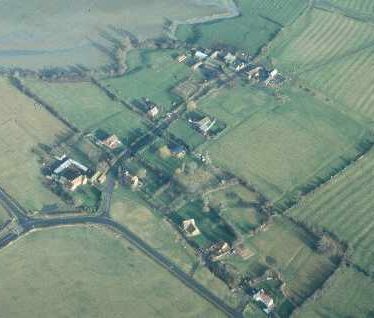 The site of a Medieval shrunken settlement, with four areas of desertion. House platforms, hollow ways, trackways, and a pond are visible as earthworks and on aerial photographs. It is situated to the west of Flecknoe. The possible site of a Post Medieval shrunken village for which documentary evidence survives. 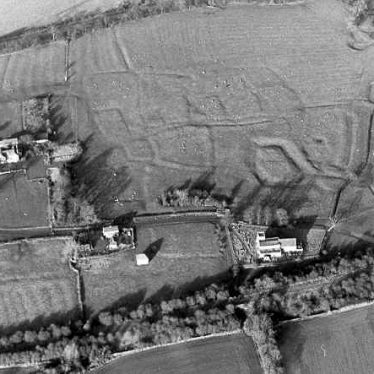 House platforms, a hollow way and ridge and furrow cultivation are all visible as earthworks. The site is located 500m to the east of Sawbridge. 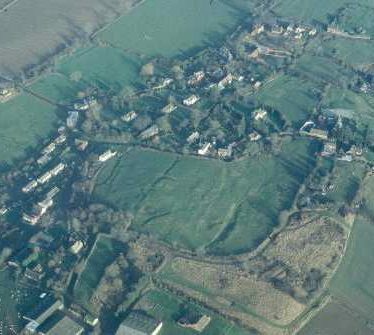 The site of Wolfhampcote Medieval deserted settlement. There is documentary evidence for its existence and abandonment by the 16th century. Aerial photographs and part excavation, suggest a moat, a hollow way, fishponds, buildings. 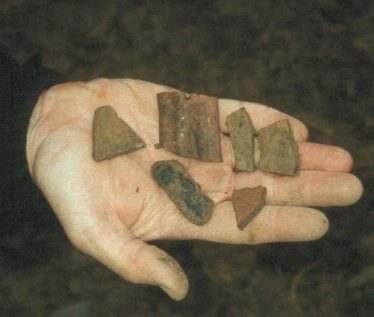 Medieval occupation was identified during archaeological work at Holly Tree House, Flecknoe. Features included the stone footings of a building which dated to the Medieval period. The Church of St Mark which was built during the Imperial period. 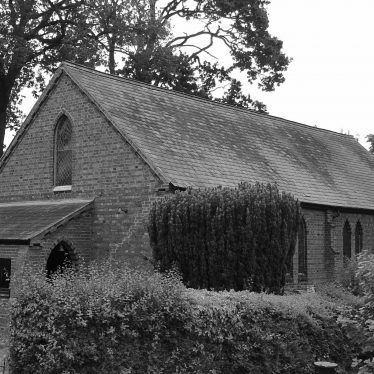 It is situated at the east end of Bush Hill Lane, Flecknoe. 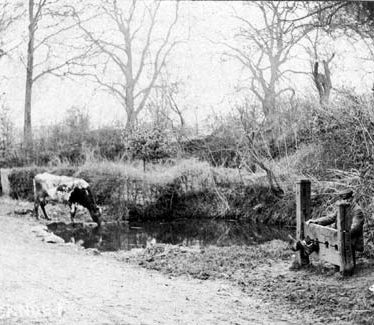 Flecknoe Village Stocks, a wooden structure in which the feet and/or hands of criminals would have been locked as a punishment. 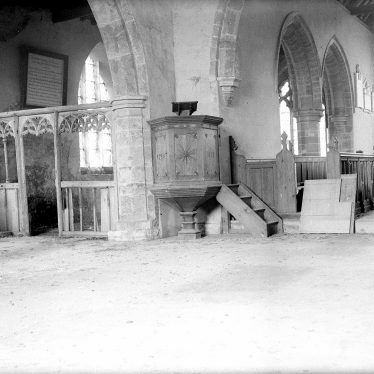 The stocks were used during the Post Medieval and Imperial periods. They were situated near the centre of Flecknoe. A hall house, a building comprising a public hall and private accomodation. It was built during the Medieval period and was a timber framed building. Alterations were made to it during the Post Medieval and Imperial periods. 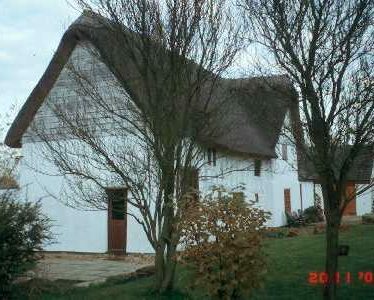 It is situated in Sawbridge. The Grand Union Canal, a waterway used for transporting goods. 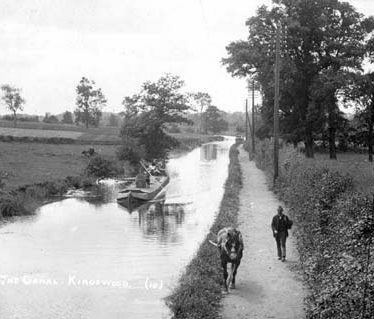 It dates to the Imperial period, when it was the Warwick and Napton Canal, and part of the link between Birmingham and London. Wolfhampcote Hall, a manor house that was built during the Post Medieval period. 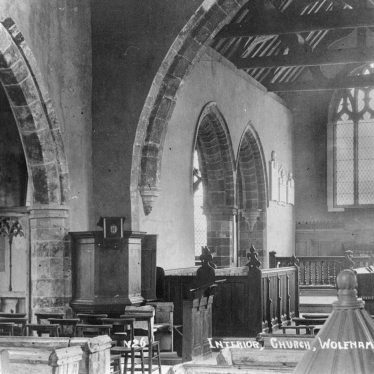 It is situated at Wolfhampcote. This map shows markers for every photo, article, historic site and catalogue record within the Wolfhampcote category.